Hello, everyone! It’s been awhile since I have done a Top Five Friday, so I thought today would be as good a time as any to bring it back! Since I am currently in Colorado and don’t have much free time, I am going to keep this one short and sweet: my top 5 favorite quotes! There are so many wonderful quotes from books out there, but these are 5 that have definitely resonated with me ever since I read them! What is one of your favorite quotes? The Lunar Chronicles is a quartet of sci-fi fairytale retellings of the stories of Cinderella, Little Red Riding Hood, Rapunzel, and Snow White. Although I am not an avid sci-fi reader, I love fairytales, and decided to read this series after hearing so much hype about it. I marathoned the first three books, Cinder, Scarlet, and Cress as my first read of the year. I am beyond happy I decided to to give them a try! My favorite thing about the Lunar Chronicles is the camaraderie of the incredible cast of characters. I love the unique personalities of each of the characters and their hilarious banter. This is especially evident in Winter, the most recent addition to the series! This is also a series that definitely improves with each book. I found myself enjoying each book more and more as I read! And of course, all the couples are so cute! Especially Thorne & Cress, one of my new OTPs… *heart eye emoji* I highly recommend this series! The Winner’s Curse was a complete cover buy for me during Book Outlet’s Black Friday sale last year, because the *original* covers are absolutely gorgeous! I had no idea I would fall in love with the story inside as much as I did after reading it last January. The Winner’s Curse is a high fantasy novel that is filled with political intrigue, strategy, an angsty romance, and BEAUTIFUL writing. Truly, the writing is poetic and gorgeous and made me fall in love with Ms. Rutkoski as an author. The Winner’s Crime, the sequel released last March, is even better than its predecessor and is filled with MORE angst, politics, and heartbreak. The Winner’s Crime left us on a massive cliffhanger, so it is an understatement to say I am looking forward to the release The Winner’s Kiss this upcoming year! I am beyond picky when it comes to YA contemporary novels, so it is always a pleasant surprise when I come across a contemporary author that leaves me feeling fulfilled at the conclusion of each of their books. Kasie West managed to give me this feeling THREE times this year, once for each of her books! The Distance Between Us, however, was definitely my favorite. West writes clean, adorable contemporaries that give readers what they want… the romance! The love interest is always introduced within the first few pages and the endings are never rushed. The dialogue is beyond adorable and I flew through each of her books in a day. Kasie West has easily turned into one of my auto-buy authors, and I know I can turn to her books whenever I am in need of a cutesy romance! The question always seems to present itself… “If you could only pick ONE favorite book or series from this past year, which would it be?” This one, my friends. Definitely this one. Marathoning these books over the summer was one of the best choices I have ever made. I absolutely fell in love with the plot, characters, and complex fantasy world Maas has created. Each book expands the scope of the plot and introduces even more characters to adore. This series is easily one of my all-time favorites! Celaena is one of my favorite female protagonists and I admire her strength and vulnerability. I can’t gush about this series enough. It will make you laugh, cry, gasp, and scream… at least I definitely did! My favorite contemporary read of the year, among the lovely stories of Kasie West! It was difficult for me to review this book because it was highly emotional for me on a personal level. This book is told from the perspective of the best friend of a country music superstar who goes on tour with her for the summer. When I was younger, I wanted to be a country music singer. In addition, this book really hit me in the feels as a Taylor Swift fan. It’s basically like reading from the perspective of being Taylor’s best friend which was the young Brittany’s dream. In addition to satisfying my Taylor Swift feels, this road-trip book is also filled with humor, a swoon-worthy romance, and a strong female friendship. I don’t think this book is right for everyone, and might be a mediocre read for some, but for me, it was truly the perfect contemporary read! If you would like to read my review (which I think covers the book pretty well), it is on my Goodreads! The Kiss of Deception was one of my last reads over summer break and The Heart of Betrayal was one of my last reads of the year. This fantasy trilogy is absolutely incredible! The world building is absolutely spectacular and I love the main character, Lia. The series is written to allow the reader to figure out a lot of the plot points before the protagonist. There is a love triangle, which usually I am not a fan of, but this one is done extremely well. The love triangle is actually important to carry on the story as a whole. I have liked both Rafe and Kaden, the two love interests, at different points in the series and am looking forward to seeing how things resolve in the third book, The Beauty of Darkness. There are so many ways this series can go! If you are a Throne of Glass fan and have not yet picked this up, definitely do so! I have a review of The Kiss of Deception posted to my Goodreads and a full review for The Heart of Betrayal on the blog. Sekret is one of the books I read this year that truly took me by surprise. I met Lindsey Smith at a book signing earlier this spring and picked up a copy of her book as soon as I heard the synopsis. I am a big fan of historical fiction, so a psychic espionage novel set in the Soviet Union during the Cold War completely captured my interest. Secret did not disappoint! I mentioned in my review (see previous blog posts) that Sekret is written like a puzzle. All the pieces are given to you in the beginning, and as the novel progresses, everything starts to come together in the cohesive picture. I appreciated that Sekret was written for an intelligent audience, and Smith didn’t feel the need to “dumb down” the historical aspects of the novel. I was able to follow well, but if there was something I didn’t know, I was able to research it. Yulia is an awesome female protagonist and is extremely perceptive, which makes reading from her perspective interesting. The love interest, Valentin, is absolutely swoon-worthy and SO interesting. I would recommend this book to any historical fiction lover, especially if you are a fan of espionage and Russian history! The second book in the duality, Skandal, is also interesting, but Sekret is by far my favorite! That concludes my list of favorite books from 2015! What is the best book you read in 2015? Thanks so much for reading! 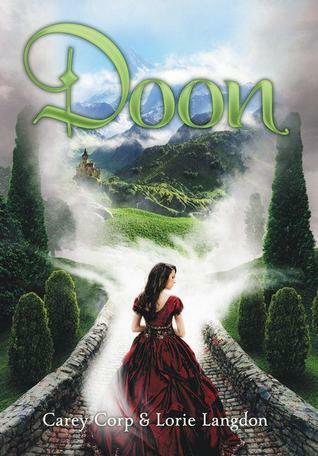 Doon is an entertaining and easy read that contains some fantasy and contemporary elements as two best friends venture into a magical Scottish world. It is loosely based off the musical, Brigadoon, told with a YA twist. Although I enjoyed Doon, I can’t say I loved it. There were too many elements to the story that felt forced or that seemed to be lacking. I often found myself rolling my eyes at the characters because of how oblivious they were to really obvious things. The characters were all very unique in the context of the story, but very stereotypical as far as YA characters go. This was easy enough for me to get over once I got into the story, but I know that is a turn-off for a lot readers. The plot is fun and I was never bored while reading, and the book delivered some really great messages on morality, hope, and embracing your destiny that I truly did enjoy. If you are contemplating reading this book, do know that the story revolves around the relationships and that there is not much action in this book, as well as that the book feels more like a MG/YA mashup than true YA. I did enjoy this book and am invested enough in the characters that I will most likely will be picking up the sequel, Destined for Doon. If this premise sounds interesting to you, click below to read some of my in-depth thoughts on the characters and the plot! WOW! I am so humbled and flattered that the lovely floralinkbooks nominated me for the Liebster Award. I just created my blog less than a month ago, so I was especially surprised and flattered to log in to my account and discover this nomination. Her blog is wonderful, so you all should definitely check it out! Thank you very much, Michaela. 1.) Thank the blogger that nominated you (as seen above). 2.) Answer the 11 questions the blogger designated for you to answer. 3.) Nominate 11 blogs who YOU think deserve this award. 4.) Give them 11 original questions to answer. 5.) Be sure to notify the blogs you have nominated. Easy, right? Well, without further ado, let’s answer these questions!